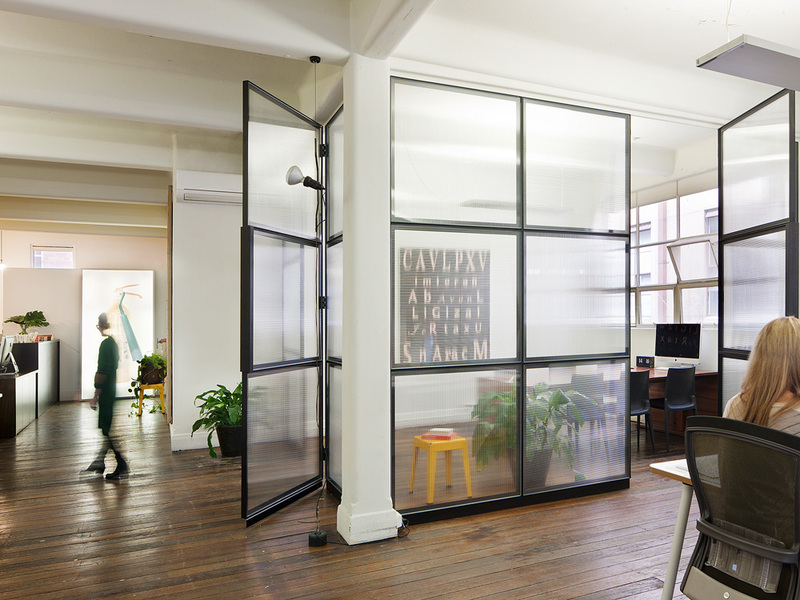 A workplace project for a design agency, the existing condition was a floor of a historical warehouse building in Flinders Lane. Molecule’s brief was to devise a layout that could accommodate business growth while streamlining workplace ergonomics and cementing the firm as a branding powerhouse. The design challenge was to revive the studio environment while preserving the unmistakable essence of the space; our design response continues the practice’s interest in contextual response – in this case, a new meeting room whose steel framing borrows from the existing windows, along with bespoke joinery elements and hardworking partition walls that provide pin-up surface to the studio and concealed production and storage zones behind.